GR native Michelle DeYoung won the Grammy for Best Classical Album with a recording of Mahler's Third Symphony. 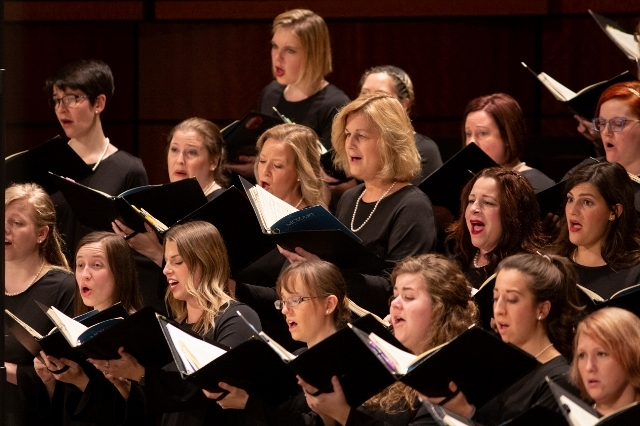 The mezzo soprano joins 250 musicians to perform it in DeVos Hall, April 12-13. STAR WARS, STAR TREK, MIDDLE EARTH AND MORE! Tickets for the Fox Motors Pops series start at $18 adults, $5 students. Tickets for the Richard and Helen DeVos Classical series start at $18 adults, $5 students. Go online for a full schedule. Call (616) 454-9451 ext. 4 or go online to GRSymphony.org for more. Michelle DeYoung, a three-time Grammy Award-winning singer, was born in Grand Rapids into a musical family while her father was studying at Calvin Theological Seminary to become a minister. Growing up in Colorado, DeYoung followed in the footsteps of her three older sisters, all of whom sang in church and played piano and other musical instruments. But DeYoung, who grew to be 6-foot 1-inch tall with a voice to match, has become one of the greatest Wagnerian mezzo sopranos of today, a singer whose career has taken her to the stages of Bayreuth, La Scala and, of course, New York’s Metropolitan Opera, where her career began. 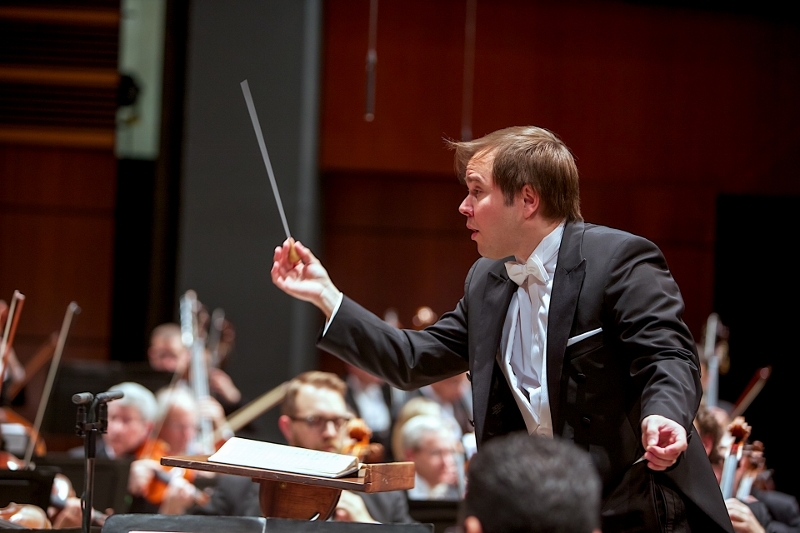 An accomplished concert artist, who regularly performs with orchestras ranging from the Vienna Philharmonic Orchestra to the New York Philharmonic, DeYoung joins Music Director Marcelo Lehninger and the Grand Rapids Symphony to perform Gustav Mahler’s Symphony No. 3 on April 12-13 in DeVos Performance Hall. It’ll be the Calvin College alumnae’s first appearance with the Grand Rapids Symphony in 14 years, and she’ll be singing musical work that earned her the 2003 Grammy Award for Best Classical Album together with Michael Tilson Thomas and the San Francisco Symphony. Lehninger will lead the Grand Rapids Symphony’s biggest ensemble of the season with more than 250 musicians on stage including 100 instrumentalists, joined by the women of the Grand Rapids Symphony Chorus, the Grand Rapids Symphony Junior Chorus, and Mandala, a select ensemble from the Grand Rapids Symphony Chorus. Mahler’s Symphony No. 3, which lasts about 100 minutes, will be the only piece on the program. Here's Michelle DeYoung performing it with Esa-Pekka Salonen and the Philharmonia Orchestra of London on YouTube. The Austrian-Bohemian composer, who was one of the greatest conductors of the late 19th century, was devoted to nature and enjoyed long walks in the countryside. In the summer of 1896, the young conductor Bruno Walter paid a visit to Mahler in the little Alpine village of Steinbach am Attersee, where Mahler spent his summers composing. Completed that summer, Mahler’s Third Symphony was voted one of the 10 greatest symphonies of all time in a poll of more than 100 professional conductors by BBC Music Magazine held in 2016. That list was topped by Beethoven’s “Eroica” Symphony No. 3 and his “Choral” Symphony No. 9 plus Mozart’s “Jupiter” Symphony No. 41. Michelle DeYoung, though she grew up in Colorado and California, returned to Grand Rapids in September 1986 and enrolled in Calvin College, her father’s alma mater. But in her sophomore year, her choir director told her she had an extraordinary voice, worthy of a professional career. The mezzo soprano returned to California and studied first at San Francisco State University and then at California State University at Northridge where her teacher told her that he wanted her to enter the Metropolitan Opera Auditions. DeYoung didn’t believe her teacher. But she entered the competition, won every level, and was invited to join the Metropolitan Opera’s Young Artists Development Program. “The first day I walked into the Met, I walked into the elevator, and someone said, ‘Oh, it’s Brunhilde,’” she recalled with a laugh. Besides the Vienna Philharmonic and New York Philharmonic, DeYoung has sung with the Chicago Symphony Orchestra, the Los Angeles Philharmonic, and The Met Orchestra in Carnegie Hall as well as with the Royal Philharmonic Orchestra, the Orchestre de Paris, the Royal Concertgebouw Orchestra, and the Sao Paulo Symphony. In opera, she has appeared in such roles as Dalila in Samson et Dalila, Brangäne in Tristan und Isolde; Herodias in Salome; Amneris in Aida; and as Fricka, Sieglinde and Waltraute in Wagner’s The Ring Cycle in such international opera houses as La Scala, Bayreuth Festival, Berliner Staatsoper, Opera National de Paris and Tokyo Opera and in the United States with Lyric Opera of Chicago and Seattle Opera among others. Her Grammy Awards include the 2001 Grammy for Best Opera Best Opera for Les Troyens with Sir Colin Davis and the London Symphony Orchestra. Her past appearances with the Grand Rapids Symphony include Hector Berlioz’ The Damnation of Faust with the Grand Rapids Symphony Chorus and Opera Grand Rapids Chorus in October 2003. During the orchestra’s 75th anniversary season, she sang Mahler’s Das Lied von der Erde under David Lockington in January 2005.